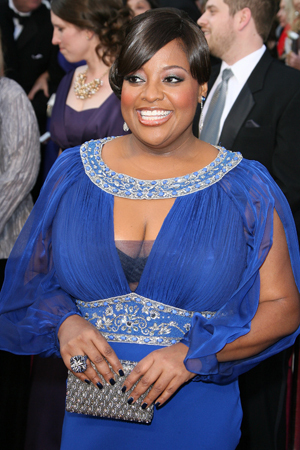 Is Sherri Shepherd cheating on Dancing with the Stars? Is it possible for a Dancing with the Stars contestant to cheat before the competition has even started? Yes, it’s possible — but is it true? Who is the most controversial contestant on the upcoming season of Dancing With The Stars? You probably wouldn’t have guessed that it’d be Sherri Shepherd of The View, and that a scandal would start before the first episode has even wrapped production! According to E! News, a Radar Online report (which has since been pulled down) published that Sherri Shepherd actually began rehearsing with DWTS professional Maksim Chmerkovskiy three months ago! If the accusation is true, it’d be against the competition rules, since contestants can only start training for the ballroom dancing after the official cast announcement, which was made on February 28. Earlier this morning, Shepherd addressed the rumor on The View, saying that she has not been dancing with Maks for the past three months and will actually be competing with Maksim’s brother, Val. The rumor supposedly sparked from the fact that Shepherd took dance classes last year, just before her wedding to Lamar “Sal” Sally. She claims these classes occurred before any kind of negotiations to compete on the ABC ballroom dancing show — come on, she was getting married!